Location: At the eastern end of the Esplanade, close to the railway line. 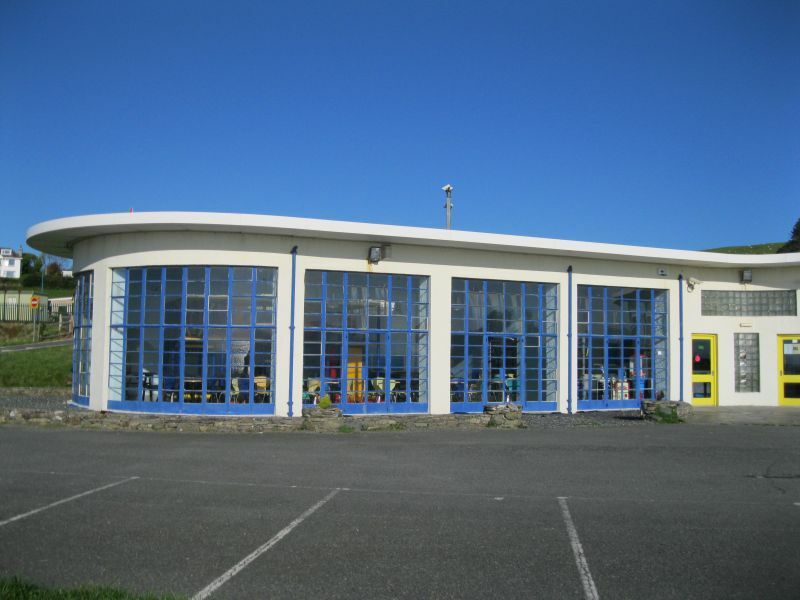 Plans were submitted for the building of this beach cafe in 1948, with Clough Williams Ellis as consulting architect. Concrete construction with flat concrete roof reinforced with iron and carried with a bold overhand on a series of cast iron brackets. Single storeyed, the building is boomerang shaped, with the entrance in the centre, between the curved wings. Paired glazed doorways with glass-brick windows between and above them. Each wing has wide full-height windows articulated by a grid of metal glazing bars in the elevation facing the sea and curving round each curved end. The straighter rear walls are lit from windows set high up beneath the eaves. A distinctive sea-side pavillion which is a rare essay in the International modern style by one of the leading Welsh architects of the C20.